Dr Andy Flack is a Teaching Fellow in Modern History at the University of Bristol in the United Kingdom. His interests lie in the fields of imperial, environmental and animal histories and geographies. 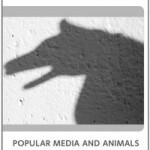 He has recently published work on celebrity animals in Victorian England, namely Obaysch the celebrity hippopotamus, and on the acquisition and display of animals at Bristol Zoo since 1836. His doctoral work examined the history of human-animal relationships at Bristol Zoo (the oldest provincial zoo in the world), focusing on the wild animal trade, methods of display, scientific and affectionate looking, agency, and death. Meet Dr. Flack, and all of the scholars involved in developing our Animals & Empire online exhibit, on this dedicated acknowledgement page here. 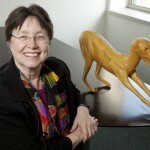 Jane Desmond is a Professor in Anthropology and Gender and Women’s Studies, and Co-founder and current Director of the International Forum for U.S. Studies, a center in International Programs, at the University of Illinois in Urbana-Champaign. 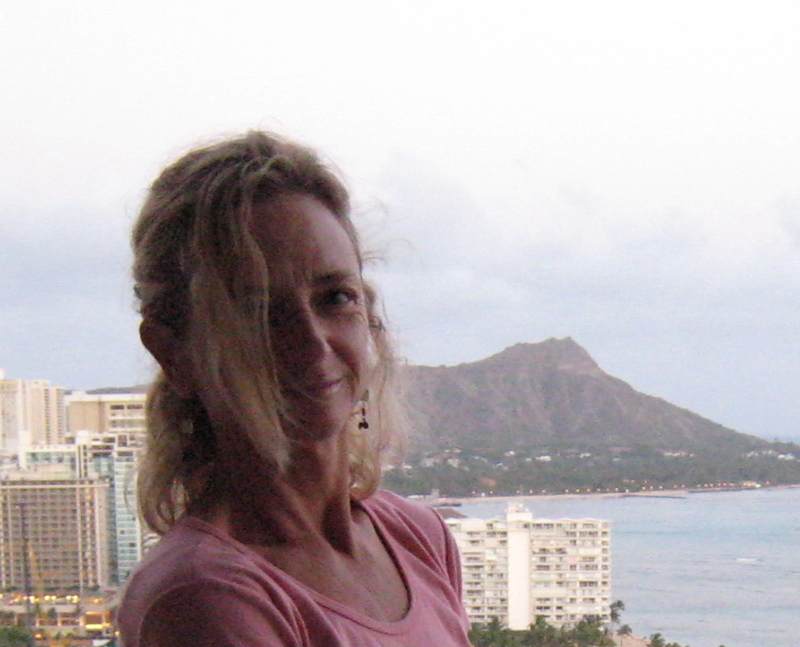 Her current research and teaching specialties include: Human/Animal relations; the Culture of Nature; Global Studies of the United States, Performance Studies, Gender Studies and Sustainability. Her primary areas of interest focus of issues of embodiment, display, and social identity, as well as the transnational dimensions of U.S. Studies. Her animal studies include extensive research into the question of whether (non-human) animals can make “art”, what that means, and in particular an examination of the popular and scientific discourses about expressivity and cognition in primates. She has previously worked as a modern dancer and choreographer, and in film, video, and the academy. Yolanda Eisenstein is a nationally-known animal law attorney licensed to practice in Texas and New Mexico. In addition to a full-time practice representing clients on issues ranging from pet trusts to constitutional rights, she is also an adjunct professor of animal law at the SMU Dedman School of Law. Yolanda is the 2012 vice chair of the American Bar Association Tort Trial and Insurance Practice Animal Law Section and former chair of the State Bar of Texas Animal Law Section. She is also a member of the Dallas Bar Association and the Animal Legal Defense Fund. She also serves on the advisory board of the Texas Humane Legislation Network, a nonprofit organization that advocates for pro-animal legislation in Texas. She speaks at conferences frequently on animal issues and has written a book, Careers in Animal Law: Welfare, Protection, and Advocacy, published by the ABA Law Practice Management Section and ABA Law Student Division, available on Dec. 16, 2012. Natalie Corinne Hansen completed her PhD in Literature and Feminist Studies at the University of California at Santa Cruz. 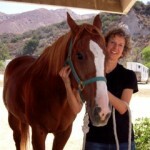 Her work examines representations of human-horse relationships in imaginative fiction, popular media, and training narratives. Recent work appears in the collection Becoming Human: From Animality to Transhumanism and in journals including Women’s Studies Quarterly, JAC, Michigan Feminist Studies, and The Brock Review. Hansen is currently a Visiting Research Scholar at the Center for the Study of Women at the University of California, Los Angeles. She also teaches literature and composition at Santa Monica College. After many years of active training and competition in various equestrian disciplines, Hansen currently engages in holistic healing practices for horses and promotes equine welfare among horse owners and riders. 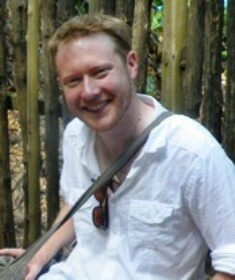 Piers Locke is a Lecturer in Anthropology at the University of Canterbury, New Zealand. He holds a BA(Hons) in Social Anthropology from the University of Kent, UK, a MA in South Asian Area Studies from the School of Oriental and African Studies, University of London, UK, and a PhD in Anthropology from the University of Kent, UK. He has held previous appointments at the University of Kent and at the University of Wales, Lampeter. Piers is pioneering the nascent field of elephantology, through his efforts conducting historical and ethnographic research involving elephant and human communities in Chitwan, Nepal since 2001. This research raises issues in: apprenticeship learning and expert knowledge, practice and identity in total institutions, human-animal intimacies and the ritual veneration of elephants, and the role of captive elephant management in nature tourism, protected area management and biodiversity conservation. 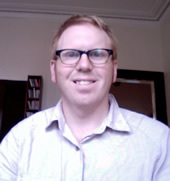 Robert McKay is a University Lecturer in English Literature, as well as the Faculty of Arts Assistant Director of Learning and Teaching at the University of Sheffield, U.K. Winner of the University of Sheffield Senate Award for Teaching Excellence in 2009, Bob’s literary research focuses on the way contemporary novelists in English have responded to ethical questions around human-animal relations. He has authored essays on J.M. Coetzee, Angela Carter, Alice Walker, Margaret Atwood and on animal ethics in literary criticism and theory, as well as co-authored Killing Animals (Univ. of Illinois Press 2006). More broadly, Bob is interested in the representations of animals in culture and is active in the research field of animal studies. 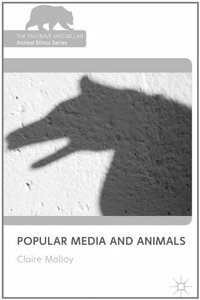 In 2000, he co-organised Millennial Animals: Theorising and Understanding the Importance of Animals, a conference at Sheffield that was cited in PMLA as groundbreaking in the field. He has also co-curated exhibitions of contemporary art addressing animal issues and set up the interdisciplinary White Rose Animals Seminar. Bob is the Associate Editor (Literature) for Society and Animals (Brill). He has contributed reviews to Society and Animals and Safundi and acted as an editorial reviewer for ‘Humanimalia’, Parallax, Mosaic, PMLA, Society and Animals, Anthem Press and Columbia University Press. 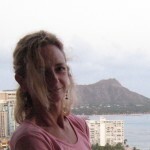 Claire is Professor of Film, Television and Digital Media at Edge Hill University, Lancashire, U.K.. Her research interests include media industries, American cinema, film and politics, digital activism, environment, nature and animal ethics. She has particular interests in the representation of, and social politics surrounding, pit bulls and pit bull rescue in both the U.K. and U.S., as well as the acquisition, use and after-care of (non-human) animals in the TV and film industry. She is the author of Memento (Edinburgh University Press, 2010) and Popular Media and Animals (Palgrave Macmillan, 2011) and co-editor of Beyond Human: From Animality to Transhumanism (Continuum, 2011) and the collection American Independent Cinema: Indie, Indiewood and Beyond (Routledge, 2012). 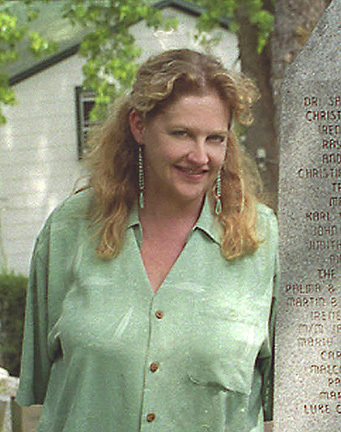 Today she works as the Historian for Hartsdale Pet Cemetery in Westchester, New York, America’s oldest continuously operated animal burial ground and the first to be recognized on the National Register of Historic Places. 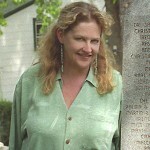 Kari Weil is University Professor of Letters and Director of the College of Letters at Wesleyan University. She earned her Ph.D in Comparative Literature from Princeton University with specializations in Nineteenth and Twentieth Century France and Feminist Theory. She has published widely on literary representations of gender, French feminism and, more recently, on theories and representations of animal otherness. 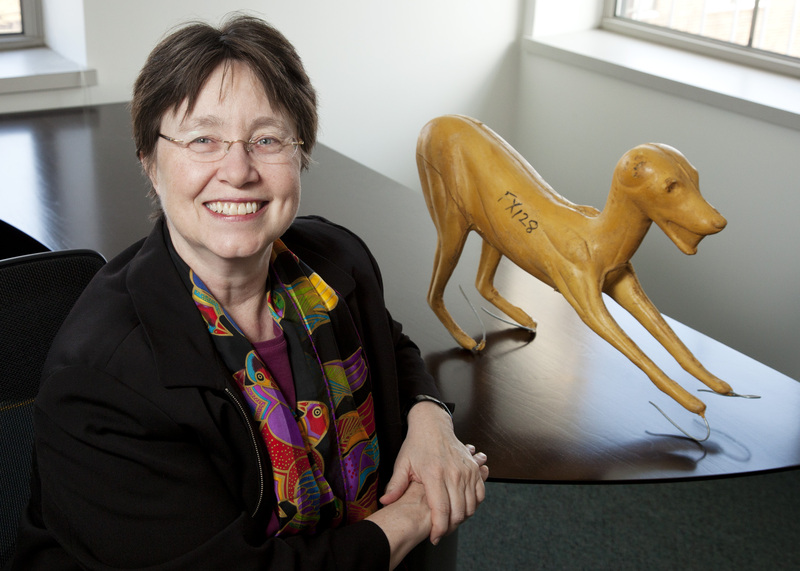 She recently co-edited a special issue of Hypatia entitled, Animal Others (27.3, Summer 2012) and is the author of Thinking Animals: Why Animal Studies Now ( Columbia UP, 2012) and Androgyny and the Denial of Difference (University Press of Virginia, 1992) . Her current project is tentatively titled, ‘The Most Beautiful Conquest of Man’ (sic): Horses and the Conquest of Animal Nature in Nineteenth-Century France. Would you like to help develop the Animal History Museum’s permanent or rotating exhibitions? If so, please email your resume and a brief cover letter explaining your area of interest to: support@animalhistorymuseum.org. By mail: 530 S. Lake Ave., #444, Pasadena, CA 91101. 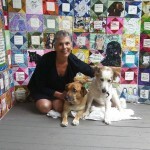 Joan Veneziano-D’Avanzo is a New Jersey textile artist and animal advocate. 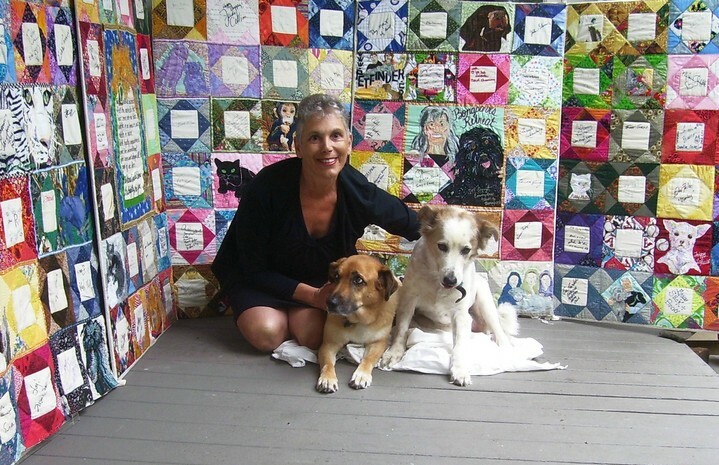 Her signature work, the Animal Compassion Quilt (pictured), more than thirteen years in the making already, is currently 22-feet long and growing. Its 4×4 squares feature the signatures of some 200 actors, musicians, athletes, presidents and other celebrities and is intended to raise awareness and compassion for shelter animals. Signatures include: Whoopi Goldberg, Barbara Streisand, Dustin Hoffman, Tony LaRussa, Bill Gates, Yo Yo Ma, Rush Limbaugh, John Glenn, Colin Powell, Presidents George H.W. Bush, Gerald Ford and Bill Clinton, as well as well-known celebrity animal advocates like Alicia Silverstone, Betty White and Bob Barker. We look forward to welcoming Joan’s delightful and engaging quilt! Would you like to contribute art, artifacts, a film screening or something else to the Animal History Museum’s permanent or rotating exhibitions? If so, please email your proposal to: support@animalhistorymuseum.org. By mail: 530 S. Lake Ave., #444, Pasadena, CA 91101.